Clara is back to hosting hungry snails. PeeWee's Garden / USA We Pray that each and everyone has a Blessed and Happy Easter!! When your Garden becomes public, you can use this wall for sharing your news and inviting new friends to your Garden! Taurus Zodiac Flower Now Available! It's Zodiac time of the month again, and Taurus Zodiac Flowers are available again in the gift shoppe for sending to friends! If you would like further help with how the Zodiac flowers work (birthstones, baby wildlife etc), please click here! When 'Ready For Harvest', this Zodiac flower will attract Bulls to your Garden, which will drop an Emerald Birthstone every 10th time you spot them in other Gardens. For the Emerald Birthstone, the 3 possible babies you can make are the Baby Bull, the Baby Anteater and the Baby Lop Eared Bunny! Finally, remember that after making 5 babies of one type in your Garden, they will begin returning with their mothers as "Mother & Baby" pairs, for which you can earn 100 Gold for spotting a Garden's first! Special Offer - Final Chance! Just a reminder that our special Double Star Dust offer ends very soon, so this is your last chance to get it! The Special Offer Has Now Ended! Earth Hour - Saturday 8:30pm! If you would like to 'turn out the lights' for an hour in your Fairyland Garden, our Limited Edition Earth Flower gives you the power to do so, and it's available now for gifting to friends! It's time to go egg-hunting again - get started now by sending beautiful Daffodil gifts to friends! Daffodils attract the Easter Bunny. Remember to keep an empty "nest" in your own Garden while hunting for him as he will drop a decorated egg for you whenever you spot him in another garden, which will then incubate in your nest. 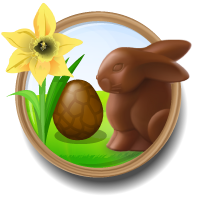 If you do manage to get a Chocolate Egg in your nest, it will attract the Chocolate Bunny to your Garden, and will continue to attract it even after it has "hatched"! Chocolate Bunnies also drop Chocolate Eggs (for every 10th one you spot in other gardens), which means that this will become the best way to find Chocolate Eggs, once there are enough Gardens attracting the Chocolate Bunnies. Finally, the seasonal quest, "Do you have the Eggs Factor? ", is back again of course! A different variation on this quest is available at every level, while the Daffodil is available in the Gift Shoppe! Aries Zodiac Flower Now Available! It's Zodiac time of the month again, and Aries Zodiac Flowers are available again in the gift shoppe for sending to friends! When 'Ready For Harvest', this Zodiac flower will attract Rams to your Garden, which will drop a Diamond Birthstone every 10th time you spot them in other Gardens. For the Diamond Birthstone, the 3 possible babies you can make are the Baby Ram, the Baby Sugar Glider and the Baby Badger! 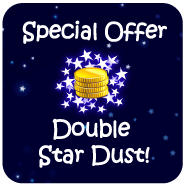 Our Double Star Dust offer is back again today - get twice the usual amount of Star Dust with any purchase! This special offer is only around for the next couple of weeks, so don't miss it! It's the time of year again when the Leprechauns pay a visit to Fairyland, and they can be spotted around the Gardens mischeivously stealing the veggies which have been left out for Wildlife! Leprechauns are attracted to Gardens with fully grown Shamrocks, and these are available now for gifting to friends! The Leprechaun's seasonal quest, "Luck Of The Irish", is also available again - but only until March 17th! The "Inflating" Shamrock Pot is earned for every 10th Leprechaun you spot (either regular or Scuba-Leprechaun) in other Gardens. He will then drop one of these for you, sending it to your Storage Area. The Shamrock "Hand-Painted Pot" design is also available again in the Pot Shoppe. Every year, a group of Fairyland players organize a players' meetup/convention. Dozens of players attend, with some flying around the world to be there! The day is always a lot of fun and everyone's very friendly. Tickets are £15 and everyone's invited, so if you're interested in coming along and meeting other friendly Fairylanders (including Fairyland's creator, Mike) then you can purchase your ticket via PayPal by clicking here and also join the event's Facebook Group to meet other attendees before you go and ask any questions you may have about about getting there/accommodation etc. Please note that this event is organized by players, not by Fairyland, so all questions etc should be directed to the organizers via their Facebook Group. Pisces Zodiac Flower Now Available! It's Zodiac time of the month again, and Pisces Zodiac Flowers are available again in the gift shoppe for sending to friends! When 'Ready For Harvest', this Zodiac flower will attract Fish to your Garden, which will drop an Aquamarine Birthstone every 10th time you spot them in other Gardens. For the Aquamarine Birthstone, the 3 possible babies you can make are the Baby Fish, the Baby Zebra and the Baby Raccoon! February is the month of Love in Fairyland, and the Loveflower is now available again for sharing with friends! The seasonal quest, "Be My Valentine", is also available again (at Quest Levels I and II.) It's available while the Loveflower is in the Gift Shoppe. It may still be Winter in Fairyland, but the First Flower of Spring has just started to appear! Aquarius Zodiac Flower Now Available! It's Zodiac time of the month again, and Aquarius Zodiac Flowers are available again in the gift shoppe for sending to friends! When 'Ready For Harvest', this Zodiac flower will attract Pelicans to your Garden, which will drop an Amethyst Birthstone every 10th time you spot them in other Gardens. For the Amethyst Birthstone, the 3 possible babies you can make are the Baby Pelican, the Baby Wallaby and the Baby Meerkat! New Year Flowers Now Available! Celebrate the new year (and Fairyland's 11th birthday!) by planting a New Year flower! The New Year Flower does not attract any wildlife so will not affect your current garden setup... but it will bring a beautiful firework display to your Garden in time to celebrate the new year. Wishing everyone a very happy 2019! Capricorn Zodiac Flower Now Available! It's Zodiac time of the month again, and Capricorn Zodiac Flowers are available again in the gift shoppe for sending to friends! When 'Ready For Harvest', this Zodiac flower will attract Sea-Goats to your Garden, which will drop a Garnet Birthstone every 10th time you spot them in other Gardens. For the Garnet Birthstone, the 3 possible babies you can make are the Baby Sea-Goat, the Baby Wombat and the Baby Fox! Special Offer - Back Again! We forgot to post a reminder before our extra special "Triple Star Dust" offer expired, which meant a few people missed it. Don't miss out - Triple Star Dust doesn't happen very often! Fairyland's Holiday Calendar is back, this year with a new Fairylights addition! There are also the usual daily pots to earn too of course - this year's Calendar contains a mix of some new pots, along with some festive favourites from previous years making a comeback in case you missed them. Get started now by gifting Holiday Calendars to friends! 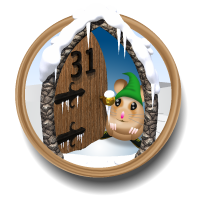 Each day throughout December, open the calendar door and behind it will be hiding one of the Fairyland Winter Wildlife. You then have 12 hours before the door closes again, and during this time your quest is to spot this wildlife in other gardens - every one you spot will drop a lovely new pot for you as a gift! There are 31 different pots to be collected in all - a different one each time you open the door. You can collect multiple of the same pot if you wish by spotting that day's wildlife multiple times within the 12 hour window. Of course, you don't necessarily need to open a door every day, and you don't need to complete the quest every day if you don't want to (maybe you don't like that day's pot, for instance.) But you can try to open each door on the corresponding day of the month if possible! It's Time To Decorate The Tree! Fairyland's Festive Trees are back again - and as usual, a small gift can be found under each completed tree, which can be opened later this month! If it's your first time decorating the tree, then you can find details about how to do it after you have planted one in your Garden. Poinsettias, Ice Flowers & Snowmen! The Fairyland winter season is upon us again, and our usual wintery seasonal items have started appearing in the Gift Shoppe! When flowering, the Poinsettia will attract seasonal birds your Garden (Cardinals and Robins), and when harvested, all Poinsettias release a small but welcome gift of Gold! While flowering, the Ice Flower will bring a beautiful flurry of snow to your Garden, attracting cold-weather wildlife such as the Arctic Fox and the Arctic Hare. And as usual, whenever the snow is falling in your Garden, any Mice & Mallards visiting will be dressed in their best festive outfits, and will give double diamonds when spotted! And finally, you can now build Snowmen (and Snow-women) again! Not sure how to build a Snowman? Put one in your Garden, and it will have a "Help" link which you can click to get all the info you need. An EXTRA Special Festive Offer! Get TRIPLE Star Dust on any purchase! After this, future special offers will revert to the usual Double Star Dust, so be sure to get the Triple Star Dust while you can - it's available for the next couple of weeks only! Sagittarius Zodiac Flower Now Available! It's Zodiac time of the month again, and Sagittarius Zodiac Flowers are available again in the gift shoppe for sending to friends! When 'Ready For Harvest', this Zodiac flower will attract Centaurs to your Garden, which will drop a Blue Topaz Birthstone every 10th time you spot them in other Gardens. For the Blue Topaz Birthstone, the 3 possible babies you can make are the Baby Centaur, the Baby Aardvark and the Baby Elephant! Fairyland's Limited Edition Poppy is now available again in the Gift Shoppe for sending to friends! 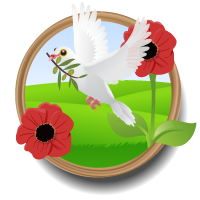 When 'ready for harvest', Poppies will attract beautiful Peace Doves to your Garden. Scorpio Zodiac Flower Now Available! It's Zodiac time of the month again, and Scorpio Zodiac Flowers are available again in the gift shoppe for sending to friends! When 'Ready For Harvest', this Zodiac flower will attract Scorpions to your Garden, which will drop a Citrine Birthstone every 10th time you spot them in other Gardens. For the Citrine Birthstone, the 3 possible babies you can make are the Baby Scorpion, the Baby Gazelle and the Baby Tortoise! It's about to get a little spooky in Fairyland once again as our Halloween gifts are available from today! Remember also that if you take your Garden underwater at this time of year while you have a Halloween Flower in your Garden, you can attract the Merwitch and an array of Ghostly underwater wildlife in your spooky green pond! 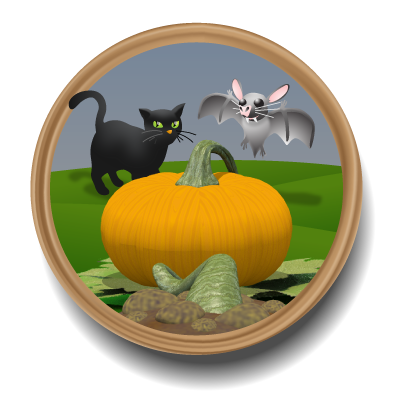 Our Halloween seasonal quest, "Spooky Sprinkling", is of course back again too. Different variations on this quest are available at a few different levels, but only until November 7th, while the Halloween Flower is still available in the Gift Shoppe. It's Time To Turn Fairyland Pink Again! Every October, Fairyland turns pink to help raise breast cancer awareness, and our Pink Plant is now available for sending to friends! All the usual Pink wildlife (Pink Elephants, Pink Panther, Flamingos, Pink Dolphins etc) are back again this year, along with the special free pink Hand-Painted Pots. The seasonal quest, "Think Pink", is back once again. 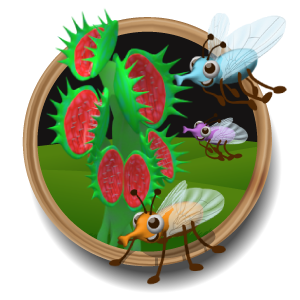 Different variations on this quest are available at a few different levels, but only until the end of October, while the Pink Plant is still available in the Gift Shoppe. Libra Zodiac Flower Now Available! It's Zodiac time of the month again, and Libra Zodiac Flowers are available again in the gift shoppe for sending to friends! When 'Ready For Harvest', this Zodiac flower will attract Peacocks to your Garden, which will drop an Opal Birthstone every 10th time you spot them in other Gardens. For the Opal Birthstone, the 3 possible babies you can make are the Baby Peacock, the Baby Kangaroo and the Baby Hedgehog! Virgo Zodiac Flower Now Available! It's Zodiac time of the month again, and Virgo Zodiac Flowers are available again in the gift shoppe for sending to friends! When 'Ready For Harvest', this Zodiac flower will attract Storks to your Garden, which will drop a Sapphire Birthstone every 10th time you spot them in other Gardens. For the Sapphire Birthstone, the 3 possible babies you can make are the Baby Stork, the Baby Camel and the Baby Deer! Leo Zodiac Flower Now Available! It's Zodiac time of the month again, and Leo Zodiac Flowers are available again in the gift shoppe for sending to friends! When 'Ready For Harvest', this Zodiac flower will attract Lions to your Garden, which will drop a Peridot Birthstone every 10th time you spot them in other Gardens. For the Peridot Birthstone, the 3 possible babies you can make are the Baby Lion, the Baby Giraffe and the Baby Brown Bunny! Sunflowers and New Summer Pots! Sunflower gifts are now available again for sending to friends! While fully grown, the Sunflower will bring the Sun out in your Garden, and the Mice and Mallards will be taking shade under their Mushrooom Parasols! The seasonal quest "Fun In The Sun" is also open again. Different variations on this quest are available at a few different levels, but only until the end of September, while the Sunflowers are still available in the Gift Shoppe. Our seasonal Sunflower-Growing Challenge is also back once again - challenge yourself to grow the tallest Sunflower you can, and earn a fabulous new "Summer Pot" for different heights grown. You have exactly 1 hour to grow your Sunflower taller by spotting/attracting the Summer Mice & Mallards (note: you can't freeze your garden during this time.) You then need to wait for the Sunflower to become "Ready For Harvest" and when you harvest it, you get a "Summer Pot" corresponding to the height of Sunflower you grew. Sunflowers are available ALL SUMMER (until the end of September) so there's plenty of time... Happy Sunflower Growing! For a little extra fun and friendly competition, here are the tallest Sunflowers grown in the whole of Fairyland this season! There are no prizes for the tallest - this is just for fun. Can you get your name up there? New Big Surprise Coming Soon! As you may have read previously, we have a big surprise arriving soon, which we've been working on for some time now. As so often happens with these things, we have experienced a few delays getting it ready, but we're about to enter our testing phase now so all being well, it should be arriving in a few weeks time. Look out for updates soon! The Summer Solstice is upon us (in the northern hemisphere) which means it's officially the first day of Summer in Fairyland! This means our Summer seasonal wildlife are beginning to arrive again, starting today with the Beehives, which will not only bring Bees but also a few other honey-loving wildlife to your Garden! If this is your first time doing Beehives, or if you need a quick reminder of how they work, please click here! Your Beehive will attract bees to your Garden - be sure to leave out some Wild Berries for them to feed on! Every Bee spotted in your Garden will make some honey in your Beehive. 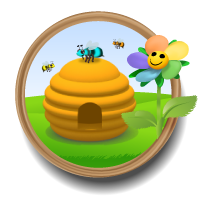 When you have 5 lots of honey in your Beehive, it will be 100% full and can be harvested. This will give you a pot full of lovely honey, into which you can plant beautiful Honey Blossom flowers. The type of honey in your hive will affect the colour of the Honey Blossom flower it grows - this then affects which type of bees are attracted to your Garden next. There are 8 different Bee types to attract/spot, including the Queen Bee at the end (each one does its own little 'waggle dance' when spotted :) To attract all 8 of them, you'll need to figure out how to gradually breed the right colours of Honey Blossom. It's Zodiac time of the month again, and Cancer Zodiac Flowers are available again in the gift shoppe for sending to friends! When 'Ready For Harvest', this Zodiac flower will attract Crabs to your Garden, which will drop a Ruby Birthstone every 10th time you spot them in other Gardens. For the Ruby Birthstone, the 3 possible babies you can make are the Baby Crab, the Baby Ferret and the Baby Red Squirrel! Gemini Zodiac Flower Now Available! It's Zodiac time of the month again, and Gemini Zodiac Flowers are available again in the gift shoppe for sending to friends! When 'Ready For Harvest', this Zodiac flower will attract Pushmi-Pullyus to your Garden, which will drop a Pearl Birthstone every 10th time you spot them in other Gardens. For the Pearl Birthstone, the 3 possible babies you can make are the Baby Pushmi-Pullyu, the Baby Koala and the Baby Ostrich! Plant An Earth Flower For Earth Day! Fairyland's Earth Flower is back again, in time for Earth Day on April 22nd! Just a reminder that our special Double Star Dust offer ends very soon, so this is your last chance to take advantage! Birthday Eggs hatch into Birthday Chicks (which of course only feed on Birthday Cake) and just like all the Birthday Wildlife, spotting your first one will earn you 50 Gold! Every year, a group of Fairyland players organize a players' meetup/convention. Anything up to 100 players have attended past events, with some flying around the world to attend! The day is always a lot of fun and everyone's very friendly. Tickets are 25 Euro (including a wonderful French meal) and everyone's invited, so if you're interested in coming along and meeting other friendly Fairylanders (including Fairyland's creator, Mike) then you can purchase your ticket via PayPal by clicking here and also join the event's Facebook Group to meet other attendees before you go and ask any questions you may have about about getting there/accommodation etc. It's time to start chasing those winter blues away - the First Flower of Spring has arrived in Fairyland again! Another new type of Birthday Wildlife just arrived in Fairyland and is looking for cake! The penultimate Birthday Wildlife has just arrived and is hungry for some cake! The Final 3 Birthday Wildlife! There are so far 7 Birthday Wildlife partying around the Gardens... hopefully you've found most of these already! We fixed couple of glitches with the new Birthday Cake today, so we've made the free Superfood Birthday Cake available in the Shoppe for a further 24 hours, woohoo! You'll find it under the "Superfood" tab in the Food Shoppe. Remember that wildlife which are listed in the Wildlife Guide as eating "anything" will also feed on the Birthday Cake, alongside the new Birthday wildlife. 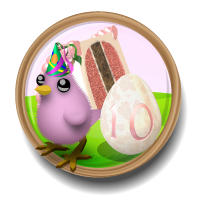 Free Birthday Cake no longer available in the Shoppe... you can now earn it by spotting Birthday Wildlife! Exactly 10 years ago today, an obscure little app called "My Fairy" appeared on Facebook. Back then it didn't do much - there were no Gardens, and certainly no Wildlife. It pretty much just allowed you to send a picture of a Fairy to friends to display on their profile! Fairyland has certainly come a long way since our humble beginnings, to become the thriving community it is today, as we celebrate Fairyland's 10th Birthday! To mark the occasion, you can hold a little Birthday Party in your Garden and invite the Fairyland wildlife to attend! But how do you get wildlife to attend a Birthday Party, you may well ask? By leaving some Birthday cake out for them to eat of course! Your Birthday Cake will attract some of the Fairyland wildlife to your Garden party - they will be in their little party hats and eating your delicious cake. There are 10 special "Birthday" wildlife to attract in total - the first 5 are listed in the Misc section of the Wildlife Guide right now, and 5 more "fashionably late" arrivals will start appearing in your Garden later this month. After 24 hours has elapsed and the Birthday Cake is no longer available in the Shoppe, you get more Birthday Cake by spotting Birthday wildlife, which will drop it if you have an empty feeding table (details of how frequently each wildlife drops Birthday Cake are in the Wildlife Guide.) Who knows - some Gardens may decide to keep the party going all year!! Finally, we can also reveal today that we have a very big surprise arriving this year - something we've quietly been working on behind the scenes for some time now. We don't have an exact arrival date just yet, but we're aiming for Q2 (so sometime between April and June)... we think it will be worth the wait :) We'll keep you updated and post more news nearer the time. Celebrate the new year (and Fairyland's 10th birthday!) by planting a New Year flower! Wishing everyone a very happy 2018! Extra Special Festive Offer - FINAL CHANCE! 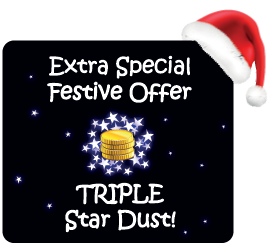 Just a reminder that our extra special festive Triple Star Dust offer ends very soon. Fairyland's Holiday Calendar Is Back! There's a loose theme to the pots this year - "Matching Sets", and you'll find that a lot of the pots are designed to complement existing pots. In particular, there are quite a few mushroom pot designs which complement existing regular pot designs, something which we've received numerous requests for. Finally, you don't necessarily need to open a door every day, and you don't need to complete the quest every day if you don't want to (maybe you don't like that day's pot, for instance.) However it is of course nice if you try to open each door on the corresponding day of the month if possible. Fairyland's Festive Trees are back again - and as usual, a small gift can be found under each completed tree, which can be opened later in December! Pumpkins are only available for 1 further day in the Gift Shoppe - grab one today if you'd still like to try for the spooky new pots, or to get yourself into this year's Top 10 biggest! Here are the Top 10 lists of largest pumpkins grown - well done if you manage to make it into the charts this year! It's Friday 13th, so what better day for some new Halloween Wildlife to arrive in Fairyland! This year, it's a spooky underwater Halloween, with Ghostly versions of some of your favourite Pond wildlife appearing! To get started, you'll need an Underwater Toadstool (planted in one of the Toadstool pots, from the "Fairy Tales" section of the Pot Shoppe) and also a fully grown (flowering) Halloween Flower. Instead of Mermaids, you'll then attract the Merwitch to your Garden! How many of these Underwater Ghostlies can you attract/spot by Halloween? In a few days time, we have a brand new Halloween surprise arriving in Fairyland! All the usual Pink wildlife (Pink Elephants, Pink Panther, Flamingos, etc) are back again this year, along with the special free pink Hand-Painted Pots. Finally, there's another new Pink arrival this year - Pink Dolphins! It's A Free Superfood Weekend!! 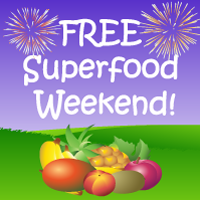 It's a Free Superfood Weekend! Update: The Free Superfood offer has now ended! If you've reached Level 42 in the game, and can already attract the Panda, there are now 2 new Bamboo-loving wildlife you can attract too! But here's the catch - we know they eat Bamboo (and also need a Fully Grown Bamboo Plant in the garden) but each of them also requires TWO other fully grown plants to attract it - however nobody yet knows which 2 plants these are. Fairylanders will need to work together to figure it out, with different gardens trying different combinations of plants until the correct ones are discovered. One thing we do know - the plants are from the standard 'level up' series, and not from any of the other categories. Finally, both of these wildlife are Endangered, so they only visit extremely rarely, so be sure to leave each combination you try in place for a reasonable amount of time to ensure a good chance of attracting them. Just a reminder that our special Double Star Dust offer ends very soon, so this is your last chance to take advantage of it! Our new seasonal quest, "Fun In The Sun", is also open again. For a little extra fun and friendly competition, here are the tallest Sunflowers grown in the whole of Fairyland this season! There are no prizes for the tallest - this is just for fun. Can you get your name up there?! Happy Friday! It's Special Offer Time! A brand new challenge arrives in Fairyland today - fabulous colour-changing Chameleons! To get started, simply plant one of our brand new Chameleana flowers in your Garden (which can be found in the 'Misc' section of the Seed Shoppe) and leave some Wild Berries out on a low feeding table, and you'll soon be attracting your first Chameleons! You need the help of the Chameleons to change the colour of your Chameleana flowers through the different colours of the rainbow. 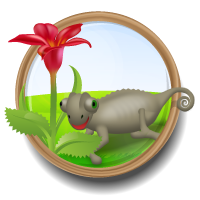 For full instructions, click the 'Help' button on the Chameleana flower when it's in your Garden, and also check the Chameleon attraction information in the 'Misc' tab of the Wildlife Guide. This challenge requires some good garden planning and skillful hunting (you'll need to avoid spotting the wrong color Chameleons by making use of the alerts), so it's definitely much more challenging than it may seem at first! White and Dark Chocolate Eggs! It seems that there are a lot of chocolate fans in Fairyland, so there's one more chocolatey treat in store - White and Dark Chocolate Bunnies & Eggs! Importantly, White/Dark Chocolate Eggs do not continue attracting Bunnies after they have hatched, which makes the White/Dark Chocolate Bunnies much rarer than the regular Chocolate Bunnies, and more of a challenge. Every year, a group of Fairyland players organize a big players' meetup/convention. Anything up to 100 players have attended past events, which have always been a lot of fun and everyone's very friendly! Tickets are �12 (to cover the event's costs) and everyone's invited, so if you're interested in coming along and meeting other friendly Fairylanders (including Fairyland's creator, Mike) then you can purchase your ticket by clicking here and also join the event's Facebook Group to meet other attendees before you go. Love is in the air in Fairyland this month, and the Loveflower is now available again for sharing with friends! A New Reward For Completing Fairyland Quests! We've received quite a few requests for an additional 'reward' for completing the Fairyland Quests - it is a considerable achievement after all! The first set of table 'parts' are automatically unlocked as soon as you complete all Quest Levels. If you wish, you can then unlock even more table parts by completing all Quests (excluding seasonal) within each level at least once. So for example, completing all (non seasonal) Quests in Level 1 will unlock 3 new Table Tops, 6 new Table Middles and 1 new Table Bottom (mini flowers/mushrooms surrounding the table.) Completing all Quests in any other level will unlock a further 3 Tops, 6 Middles and 1 Bottom. If you manage to unlock all available parts by completing all (non-seasonal) Quests in all levels, there are literally thousands of different tables you can build! It's a great little reward to aim for, which should make the Gardens even more beautiful and varied - happy table building! We've received quite a lot of feedback and requests asking for more variety/choice in the Quests, so a handful of new ones have been added today- "Almost Human", "Giants", "Horns & Tusks", "The Ugly Bug Ball" and "Random Assortment". These are available at various different Quest Levels. Some are easy, some are more difficult - hopefully there's something for everyone! If you haven't started the quests yet, you access them by clicking the small scroll icon, just below the "Find Gold" text in the titlebar at the top of the page. Celebrate the new year (and Fairyland's 9th birthday!) by planting a New Year flower! Wishing everyone a very happy 2017! Just a reminder that our extra special Triple Star Dust offer ends very soon. This is a one-time opportunity to get Triple Star Dust with every purchase! We just wanted to let everyone know that the problem has now been fixed, and everything should be back to normal from now onwards, but apologies for the disruption this caused. First up is the Poinsettia! And finally, you can now build Snowmen again! The "Winter Wonderland" seasonal quests have also been re-activated today. They're available at Quest Levels I, III and V, while the Ice Flower is in the Gift Shoppe. Some great news today - we have a one-time EXTRA special festive offer! Any special offers we may have in the future will revert to the usual "Double Star Dust" - this is a one-time Triple-Dust special. It's only available for the next couple of weeks, so get it while you can! It's the final day of Pumpkins being available in the Gift Shoppe - grab one today if you'd still like to try for the spooky new pots, or to get yourself into this year's Top 10! Here are the Top 10 lists of largest pumpkins grown - well done if you made it into the charts this year! The Halloween Pumpkin Growing Challenge returns to Fairyland today, and this year there are some very spooky prizes for growing different Pumpkin Sizes! Instructions for growing your Pumpkin larger can be found after you plant your Pumpkin. It's the time of year when Fairyland turns a little bit spooky, and some of our regular Halloween gifts are available again from today! No Pumpkin Growing This Year? ... but it's arriving in a couple of days' time, along with a little something extra! A new seasonal quest, "Spooky Sprinkling", has also arrived. A new seasonal quest, "Think Pink", has also arrived. We are not aware of any major technical problems in Fairyland at this time. Found a technical problem with the app? Please check the "Help With The Game" section on our Forums page to see if anyone can help you with it, or failing that, you can contact Fairyland Support to report it to us directly. Thanks!